momstown Winnipeg: Win Tickets to Baby & Kids Show - CLOSED! 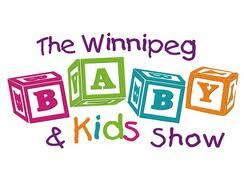 Showtime Productions is hosting the 7th Annual Winnipeg Baby & Kids Show! The Baby & Kids Show is geared to expectant parents and young families. Families can explore the show for the latest in baby and toddler products & fashions, collect information, and attend informative seminars, all under one roof! Children are treated to fun and activities throughout the day, including The Backyardigans! E-Children & Westcoast Kids is sponsoring the Family Care Lounge at The Baby & Kids Show this year, which this mom of 2 can really appreciate. This includes a nursing centre and changing station. Not too mention the row of booths they have this year! So be sure to pop on by and visit them! And pick up something cute for that new or soon to be baby in your life! WANT TO WIN TICKETS TO THE BABY & KIDS SHOW?!?! Westcoast Kids has given us tickets to give-away! We have two sets of 2 tickets to give-away. All you have to do is comment below that you want to win! We will randomly select 2 lucky winners by Thursday at 5 pm. Leave your email address so we can contact you too! Good luck! Closed!! Congrats to Laura Kazine and Marjori P for winning 2 tickets. I will email you on where to pick up your tickets. Thanks everyone for entering! I would love to win! my son Loves the Backyardigans!! I would love to win tickets so I could take my girls. I know they would love it very much. :o)... Thanks. Ooo this would be great! We are planing on going on Saturday! Want to go and will for sure if we win tix!! I'd love to win tickets! We would love to win tickets! Thanks Westcoast Kids! We are going to go but would love to win our tickets! I would love to win these tickets! Fingers Crossed!!! expecting in April.. would love to win tickets for this weekend show! I'd love to take my son to see the Backyardigans! i would love to win! i'm a first time mom due next month! and my goddaughter loves the backyardigans!